Figure 14-42.--Development of a truncated hexagonal prism. sections of cylinders (view B). 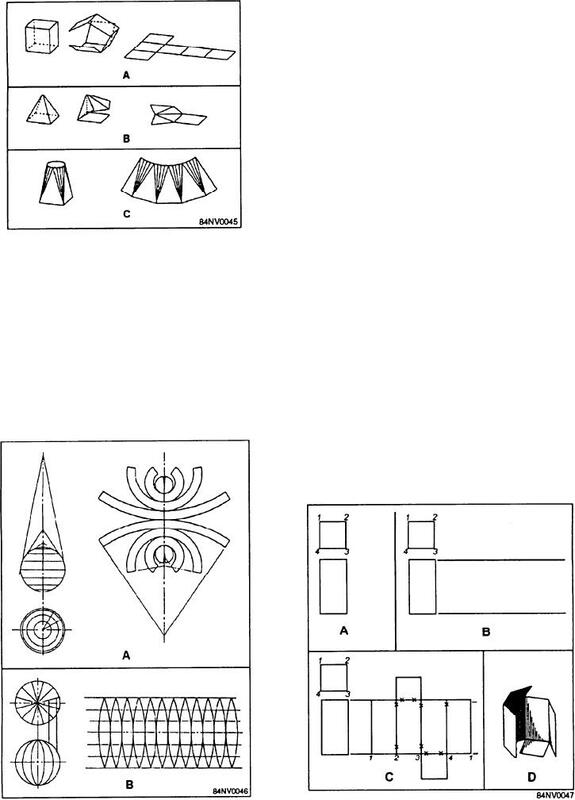 for surfaces such as cones and pyramids (view B). to either of the other two methods (view C). developed as frustrums of cones (fig. 14-40, view A). Figure 14-41.--Parallel development of a rectangular plane. Figure 14-40.--Development of double-curved surfaces.